Our own Michael Alley recently spoke at Omaha's ICAN 7x7x7 Meet Up. Watch the video to see his thoughts on how to cultivate a creative culture. We are thrilled to be recognized by Downtown Omaha Inc. at its annual gala this year. Our work on the Downtown Residence Inn by Marriott was honored with the Outstanding Achievement Award: Architectural Planning/Adaptive Reuse/Restoration. Located in downtown Omaha, this 12-story building was constructed in 1933 to house regional offices for federal agencies. Our Holiday Wish List: Two New Team Members! We are thrilled to welcome two new team members to our ranks! Welcome Diane Sunde (L) and Naomi Smith (R)! Diane joined APMA’s Construction Administration (CA) team in 2016, bringing her detailed planning skills to the multifaceted practice group. Prior to joining APMA, Diane worked for the University of Nebraska at Omaha where she coordinated several construction projects, archived architectural records, assisted with procurement efforts, and helped institute office move policies, wayfinding guidelines, and signage. At APMA Diane helps provide quality control on various CA projects, managing the multitude of deadlines and deliverables to help keep projects on time and on budget. Naomi joined APMA in 2016 and brings an diverse portfolio of experience in administration, operations and marketing. With a degree in accounting and a background in graphic design and executive support, Naomi brings a creative and fresh approach to her role supporting the administrative and design teams. Her cheerful, can-do attitude and willingness to tackle any project that comes her way makes Naomi an asset to APMA and its clients. The Westwood Park sign in Council Bluffs, Iowa. Two of our architects earned the coveted 2016 AIA Emerging Architect award for their design of the Westwood Park sign in Council Bluffs, Iowa. The sign consists of 100 cubic feet of cast-in-place concrete, 100 linear feet of steel framing, and 40 square feet of perforated metal panels. Click here to read more about it! Perry Poyner wins prestigious AIA Cunningham Gold Medal! We are so proud of APMA Co-Founder Perry Poyner who was recognized with the prestigious AIA Cunningham Gold Medal Award! Click here to read the Omaha World Herald article about this well-deserved accomplishment. (from L to R) Lisa Bell, Brian McCracken and Audrey Buckley are the latest additions to the APMA team. We’re excited to welcome three new team members to the Alley Poyner Macchietto Architecture family! With more than 15 years of experience as a studio leader, planner, designer and project manager, Lisa Bell joined APMA in 2016. Lisa’s experience runs the gamut from the design of retail outlets and commercial centers, to an extensive portfolio in the areas of senior living and healthcare, higher education, and religious institutions. 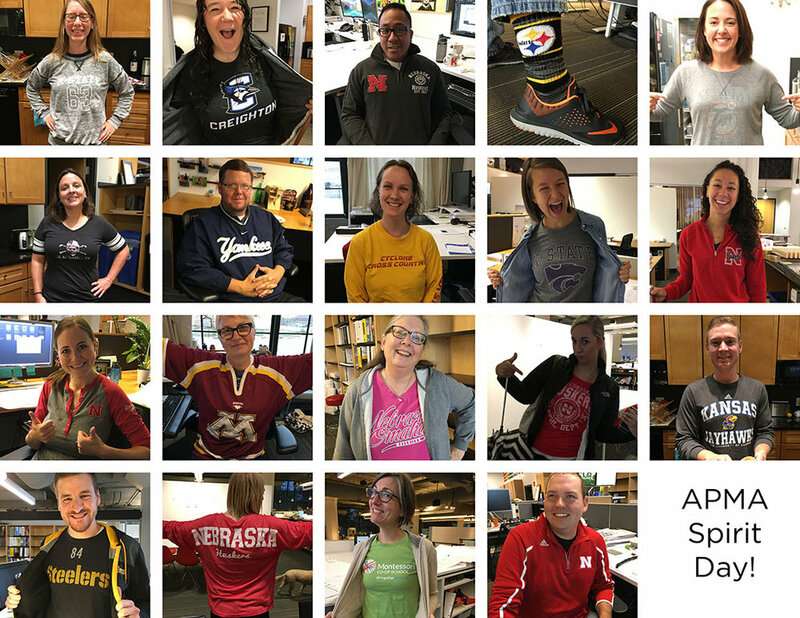 An AIA Nebraska Associate Board Member, Lisa brings a broad perspective, diverse aesthetic, and a wealth of relationships to her work at APMA. Brian is interested in how the architecture, engineering and construction industries are evolving and how a rapidly changing technological landscape can influence the design process. His focus on building technology, tectonics, details of construction, and space planning make him an asset to the various project teams he supports. Brian comes to APMA with more than a decade of architectural software knowledge and skills which allows him to quickly provided technical support and quality assurance on the highly detailed construction documents produced for the firm's clients. Audrey Buckley joined APMA from the University of Nebraska Omaha in 2016. At UNO Audrey was responsible for the execution of several high-impact projects, including renovations of the Peter Kiewit Institute, Roskens Hall (College of Education), and HPER Building (Health, Physical Education and Recreation building that includes health clinics). Her diverse portfolio, accumulated over 30 years in the industry, and distinct understanding of the client’s perspective makes Audrey a strong addition to the firm’s project teams. Wednesday, June 1, 2016 – Omaha, Nebraska –Dale Bowder has joined Alley Poyner Macchietto Architecture (APMA) as architect and project manager. Dale was most recently a project manager with Facilities Planning and Construction at the University of Nebraska-Lincoln (UNL) where he won the 2015 Commercial/Institutional Award for Exemplary Service from the Preservation Association of Lincoln. His impressive portfolio of work completed at firms like Leo A. Daly and The Clark Enersen Partners, includes higher education projects for Walsh Hall at the College of St. Mary, as well as the Buffett Early Childhood Office, Brace and Behlen Laboratories, and Communications Offices at UNL. Dale also brings solid experience reimagining healthcare and wellness facilities ranging from clinics to assisted living centers; and designing corporate spaces, including the SAC Federal Credit Union Corporate Headquarters in Papillion. Dale is a graduate of the University of Nebraska-Lincoln where he earned his Bachelor of Science as well as a Masters of Architecture. He is LEED and NCARB (National Council of Architectural Registration Boards) certified and is a Registered Architect in Nebraska, Iowa, South Dakota, Arizona and Wisconsin. Dale is currently working on several commercial projects and will be providing review and quality assurance for various APMA projects. The mission of APMA is threefold: Put people first. Advance Design. Build Communities. Since its inception in 1987, the team at APMA has dedicated itself to designing buildings and spaces that are as beautiful as they are functional. 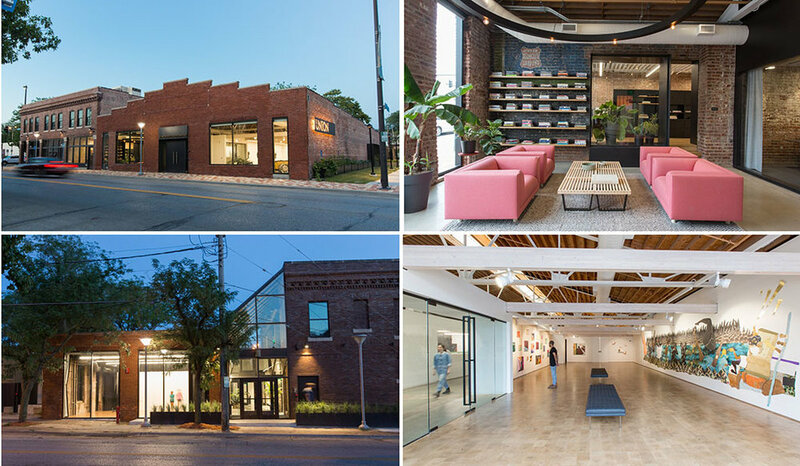 From ground-up new builds to the preservation and adaptive reuse of historically significant buildings, the 53-person firm provides architecture, interior design and planning services to a wide range of clients and industries. To learn more, visit alleypoyner.com or call 402.341.1544. Friday, April 15, 2016 – Omaha, Nebraska – Alley Poyner Macchietto Architecture (APMA) has welcomed a new shareholder to its group of employee owners. Architect Megan Lutz joins Principals Michael Alley and Albert Macchietto and the original 10 shareholders appointed in 2015, becoming part-owner of the 52-person architecture, interior design and construction administration firm located in North Downtown Omaha. Megan joined APMA in 2010. As a Fulbright Scholar conducting research in Denmark, Megan’s study of urban spaces has helped shape her work on myriad projects. 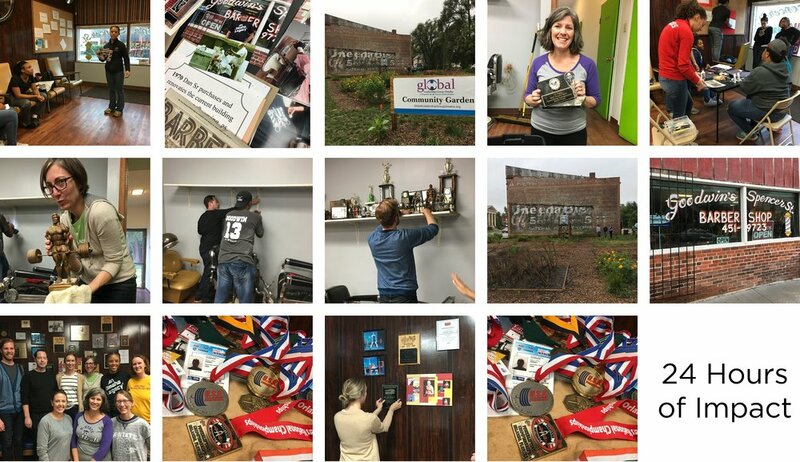 Currently she is leading the work on a multitude of projects, including The Highlander development in North Omaha with 75 North, and the Fair Deal Micro Retail and Artist Residency project with the Omaha Economic Development Corporation. Megan’s attention to detail and technical skills coupled with her artistic eye makes her a valuable asset to the firm and its clients. Adam, who joined APMA in 2014, is a leader and advocate for design within the firm. He is an asset to his clients and teammates, particularly as it relates to more sensitive mixed-use urban infill projects for which he has a keen eye. 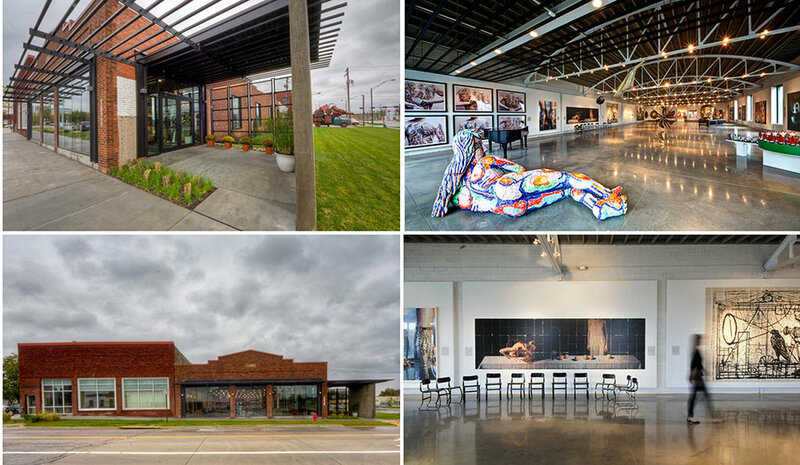 Adam is a vocal advocate for the adaptive reuse of some of Nebraska’s most architecturally-significant buildings and sits on the Board of Directors for Restoration Exchange Omaha. He has volunteered for Americorps as a project manager for the GreenTown sustainability initiative in Greensburg, Kansas and is also the recipient of an AIA People’s Choice Award - Emerging Professionals in Unbuilt, a ASLA Student Honor Award and a W. Cecil Steward Sustainable Architecture Scholarship..